The land that surrounds the town of Varese (380 mt. a.s.l.) is a cocktail of areas and challanging cycling routes: a strip of Prealpine foothills to the North where you can find the Monte Campo dei Fiori (1,200 mt. a.s.l. ), which you can climb up by your road bike, and Monte Martica (1,030 mt. a.s.l), and an area relatively flat (approx 300 mt. a.s.l.) to South. Nestled in the foothills of the Swiss-Italian Prealps, Varese is the perfect launchpad for your cycling holiday from which to explore by bike the routes around Lake Maggiore, Lake Lugano and the challenging climbs in the deeply wooded hills around. The more interesting cycling routes wind toward Northern hills, toward Lake Maggiore and Lake Lugano. Have a look at: road cycling routes and cycling resources. You can find three small lakes (Lake Varese, Lake Comabbio and Lake Monate) in the Western area. Varese lies right at the foot of Monte Campo dei Fiori and on seven small hills: the San Pedrino Hill, the Giubiano Hill, the Campigli Hill, the Sant'Albino Hill, the Biumo Superiore Hill, the Montalbano Hill and the Miogni Hill. The area of Varese was a prehistoric settlement from 5,000 B.C. and a “castrum” in the Roman Age. Varese was an important medioeval market place. It was a negotiation centre for the silk trade between the 17th and 19th centuries. As early as twentieth century it started to attract tourists from Milan when faster transport links were constructed. 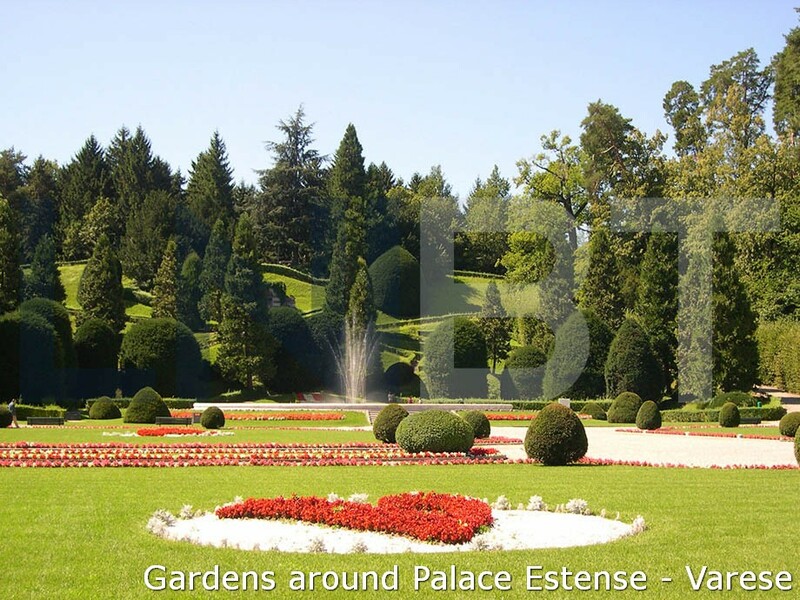 Palace Estense, Villa Mirabello, Villa Panza, Ville Ponti, Villa Toeplitz, Villa Baragiola, Villa Mylius, Villa Recalcati with their parks and the huge areas of greenery that surround Varese contributed to the epithet “Garden Town”. 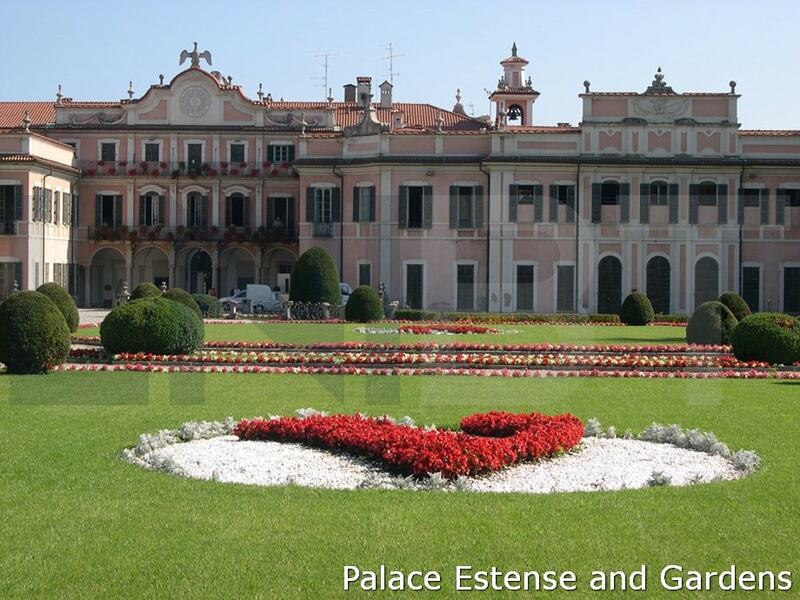 Palace Estense and the Gardens. Palace Estense was built in the second half of 17th century as a court residence for Duke Francesco III of Este (the Austrian Governor of Lombardy) and it's a clear example of late baroque syle. 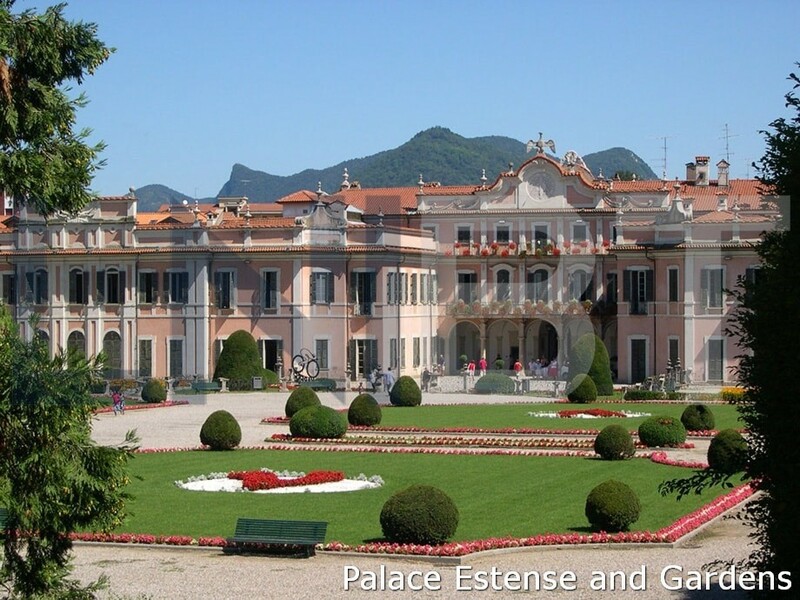 However the most spectacular component are the Estensi Gardens, a huge Italian-style park. The Estensi Gardens are linked to the gardens of Villa Mirabello. The Palace Estense is now Town Hall and houses the civic administration of the local municipal council. 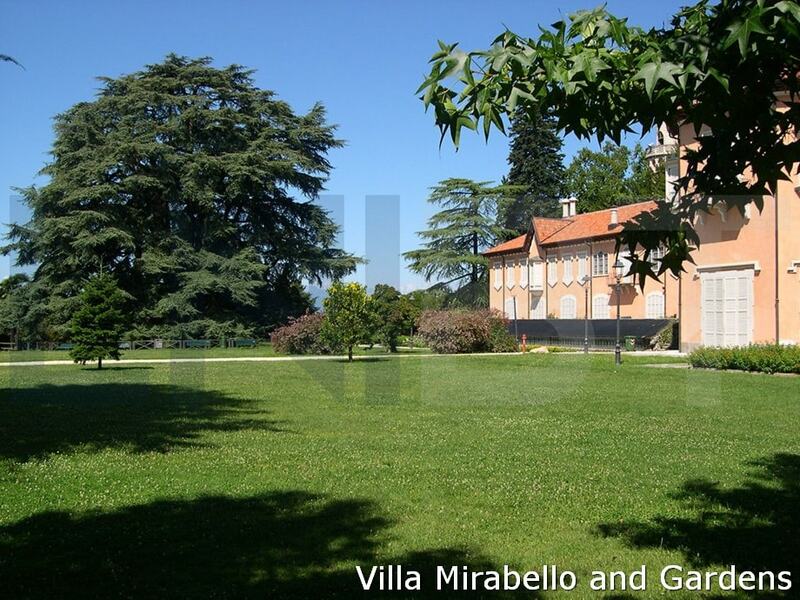 Villa Mirabello was built in the 18th century. The park entrance overlooks Piazza della Motta. Today it's the houses the local the Municipal museums which were set up in 1871. Inside you can find several sections: history, natural sciences and artistic works, archeology (you can find materials coming from stilt house findings in province of Varese). 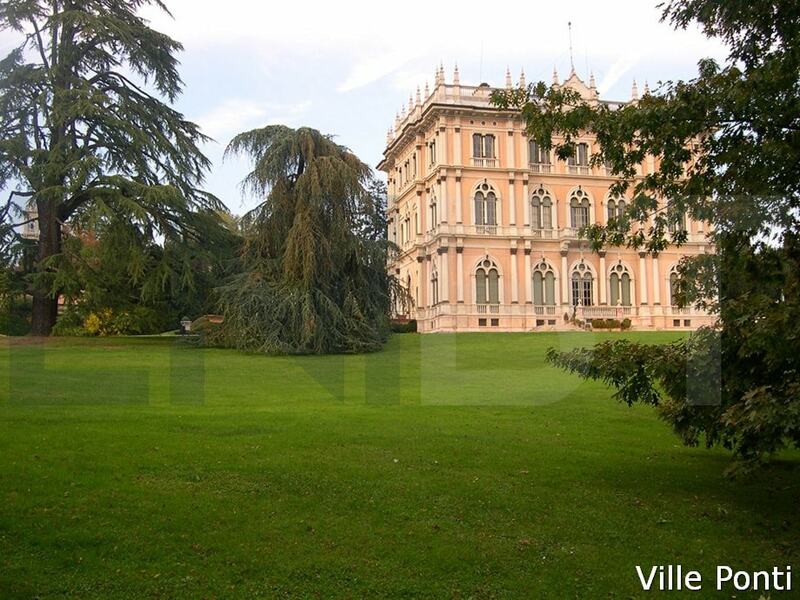 Villa Menafoglio-Litta-Panza overlooks the city of Varese from the top of a hill. It was built in the 18th century and today is owned by FAI which takes care of the heritage that accomodates it. 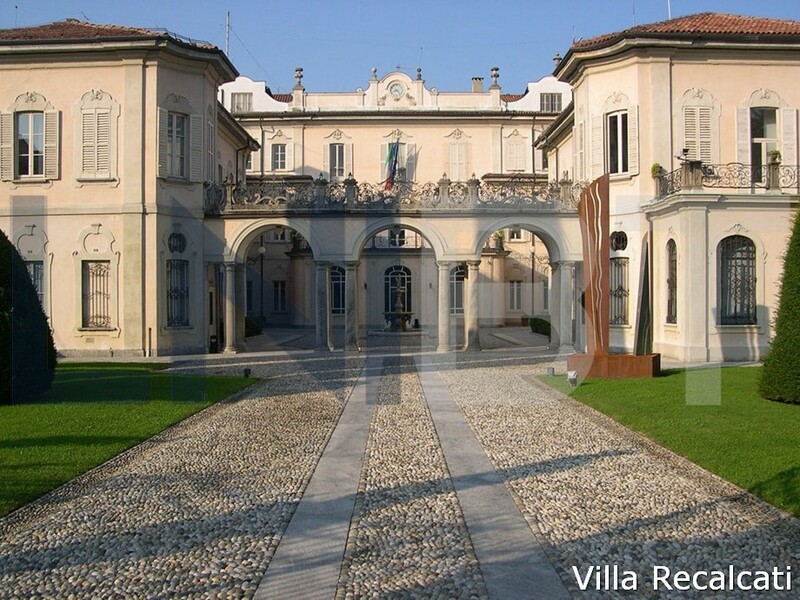 The Villa lies in a 19th-century park and it houses the richest private American contemporary art collection in italy. 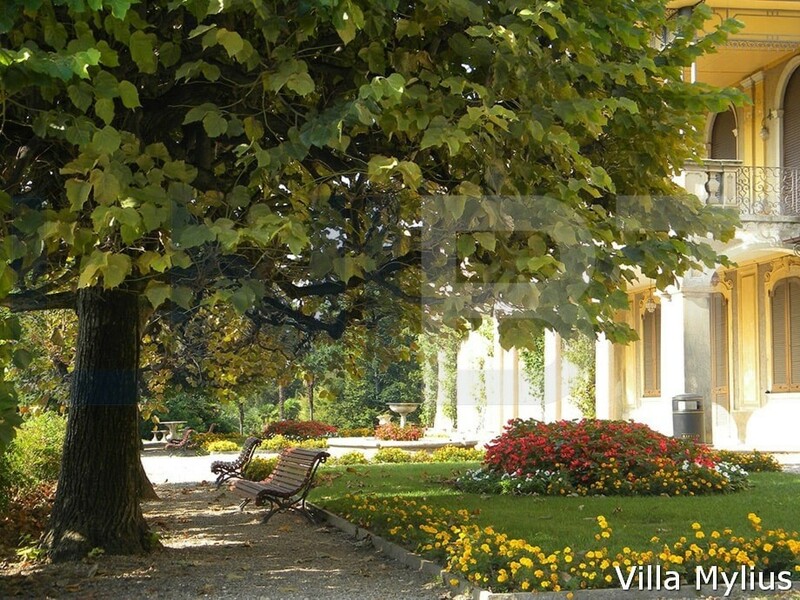 Ville Ponti are a complex of 19th-century residential villas surrouded by a huge park. 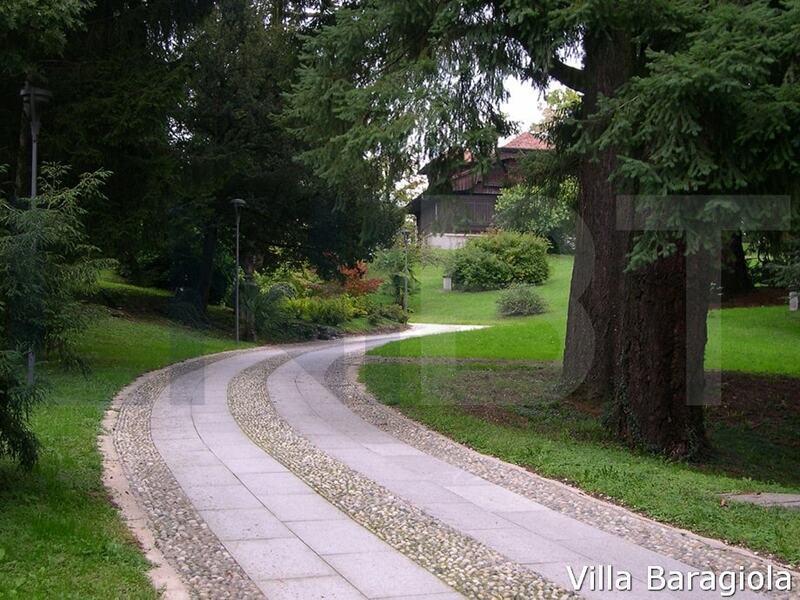 It lies in front of Villa Panza. In 1961 the Chamber of Commerce of Varese bought Ville Ponti and it turned them into a conference center. 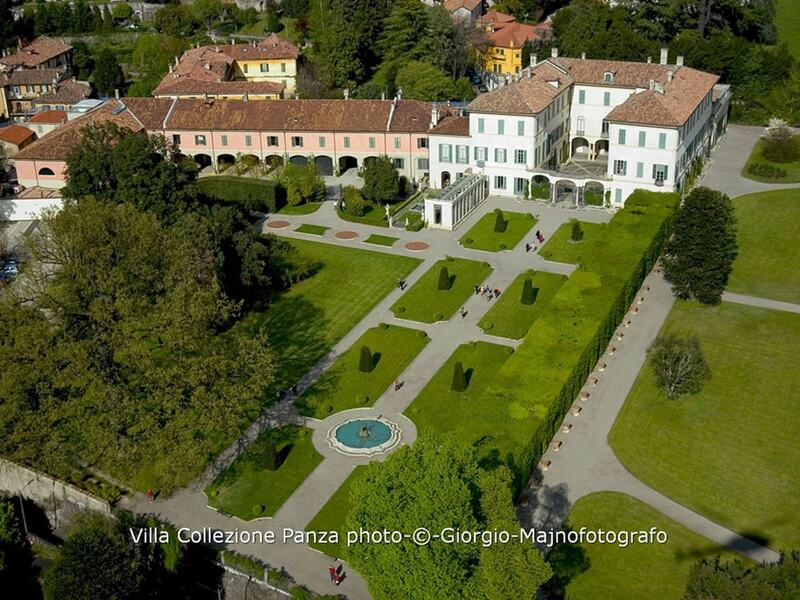 In Varese you can find other ancient villas sorrounded by parks: Villa Toeplitz, Villa Baragiola, Villa Mylius, Villa Recalcati. They are property of the local pubblic administration.